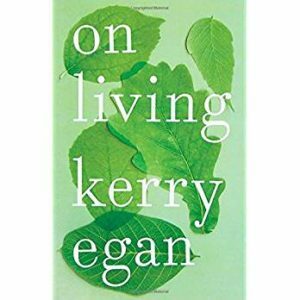 Several weeks ago my dad sent me a text to say he’d just finished reading Kerry Egan’s new book, On Living, and it made him think of me. My dad works as a chaplain in a senior housing community and Kerry Egan is a hospice chaplain, but Dad said the book was about more than hospice work and gave me enough hints to the book’s content that I immediately clicked over to our library website and put it on hold. I haven’t been reading much lately, but David picked the book up for me a couple days before Christmas and there it sat at the top of my stack when I was poking around for something to do toward the end of last week. On Living is an accessible book, starting with the layout. Within the hardbound green covers are pages with wide margins and plenty of white space between lines of text. A bit of an aside – Pantone announced their annual color of the year in December and chose Pantone 15-0343 as the color for 2017. “Greenery is a fresh and zesty yellow-green shade that evokes the first days of spring when nature’s greens revive, restore and renew.” Greenery is the color of life. And, while not quite Pantone 15-0343, the color of life is the cover of Egan’s book, made more complete by the image of 5 life-sized leaves collected there. They are the color of spring. Throughout the book Egan weaves a grey thread from her own life into her storytelling by including some details about the drug induced psychosis she acquired during the birth of her first child and endured for months following. She integrates the telling of her own traumatic break with reality even as she examines the nature of self and soul in the living and dying of her patients. “Do we have an essential soul, or is our identity at the mercy of what happens to us?” My experience with a traumatic brain injury more than a decade ago gives explicit shape to these questions in my own life and I may wrestle for the answers until the moment I die. I read good books in 2016. I suppose it is not surprising that this shortlist has When Breath Becomes Air and On Living for bookends – explorations of meaning-making in the complex stuff of living and dying. And that….is why I read. I attempted to record a little more data about my reading this year, but it turned out that I didn’t really care about keeping track of when I started and when I finished reading a book. Talking myself into recording details on a spreadsheet was rather ambitious anyhow and by mid-year I had settled agreeably back to simply writing a title down when I finished. I think I quit more books this year than I ever have before. And I finished several I really didn’t care that much about and could just have easily aborted. I used no standard criteria for either of these solutions. Speaking of criteria. I have long wondered about my criteria for including a book on my reading list. I kept track of page numbers for much of my early 2014 reading and in the process I decided that didn’t have anything to do with how I judge a book worthy of my list. I did read some books to the boys that didn’t make it to the list. It wasn’t that they were fundamentally different than the books that did make it to the list. It basically comes down to the fact that it’s my list and so I make the rules. Maybe my rules are a bit evolutionary, but whatever. The books on the list are there because I read them. Still Writing – Dani Shapiro : This easily landed itself on my favorite writing books list. And it inspired me to read Shapiro’s backlist to see how she uses her content in both fiction and nonfiction writing. This is the Story of a Happy Marriage – Ann Patchett: I hadn’t read her before and thoroughly appreciated this collection of essays. Exploring her bookstore is on my Nashville To Do list. Redefining Realness – Janet Mock: I’m so glad to have read her story. I can’t begin to understand her complex and difficult journey as a trans woman, but in reading, I hope – a step toward greater awareness and care. Surprised By Scripture – NT Wright: Yep. I want more of this story. Hannah Coulter – Wendell Berry: A highlight because I really have never finished a Wendell Berry book until this. Kind of slow and quiet (True. I HAD just finished Game of Thrones) and I liked it. I’m recently interested in stories set in Place – and I’ll probably return to read more of this Port William community. 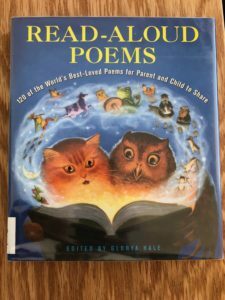 Barbara Crooker and Marie Howe – These were my poets this year. Anne Lamott: I re-read Traveling Mercies in September and I’m glad I did. The Princess and the Goblin – George MacDonald: A regular re-read for me and always an intriguing favorite. I read a lot of kids historical fiction this year and connected a lot more pieces of history than ever before. This is good. Sitting in my chair by the window this morning, I was thinking about my September calendar and only half attending as I read aloud to the boys. Blue sky + white puffy clouds + sunshine replaced yesterday’s cold rain in my window view as my eyes ran fast across the words on the page in front of me. We’ve been working our way through a book list that features early America, and this morning we were reading The Cabin Faced West by Jean Fritz. It’s a sweet little story for younger kids about life on the western frontier = Western Pennsylvania in 1784. It’s a quiet tale about a little girl, Ann, who has moved with her family from Gettysburg to western Pennsylvania. Ann didn’t want to move west. She misses her cousin Margaret, school, and her life back in Gettysburg. When we started this book a couple days ago, apparently I skipped the first page, which turned out to be basically a brief introduction by the author. It clearly hinted that something toward the end of the story was true….and cool. I missed it. So this morning when we got to the part where George Washington appeared out of nowhere and asked Ann if he could come to dinner that evening, I guffawed. or something like that. Ah well. That IS cool. Ann fitted the new deerskin cover over the diary. It was very handsome, made from the underpart of a deer’s skin where the brown shades into a honey color. It looked like a real frontier diary now, Ann thought as she stroked it. She began to turn the pages over, re-reading parts she had written. All at once it struck her that on the inside her diary wasn’t much like a frontier diary. For the first time she noticed that she had hardly written anything about the Western Country. Most of her entries were about Gettysburg, about Margaret, about her homesickness. If any outsider were to pick up this diary and read it, he might not even know where it had been written. She turned the pages more slowly. She had never mentioned what Hamilton Hill looked like. Ann jumped up. She didn’t want to think about Hamilton Hill now. She didn’t care if her diary did have a handsome new cover, she didn’t feel one bit like writing in it. She went inside the cabin and put the diary up on her shelf. All day long as Ann went about her chores, she felt out-of-sorts and out of courage (emphasis mine). It wasn’t only that the McPhales had gone East while she was staying behind. She didn’t know what was bothering her, but everything she did went wrong. She cut her finger when she was chopping pumpkin for her mother to make a pumpkin pie. She spilled half a pail of milk as she was taking lunch to the men in the field. She caught her dress on a prickly bush and tore it. And every time she picked up the baby, he cried. 1. Sometimes life takes us places we don’t want to go. 2. Sometimes the effort and energy required to inhabit a place takes all the effort and energy we can muster and we can’t accurately find words. Or don’t have any. 3. Sometimes we need time and space to just go look for grapes. It is a gift to have people in our lives who recognize this and even more, to help make it happen. 4. 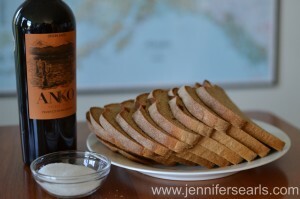 As we inhabit whatever our place, may we find the strength and the nerve that it takes…..Give us Bread, Give us Salt, Give us Wine. Last week I finally updated my 2014 Reading List here. It’s so hard for me to make a favorites list because I read books for a variety of reasons and so I’ve got a lot of different angles to evaluate. This is the first year I’ve noticed that I’ve spent a lot of time reading books that I haven’t bothered to finish. There are some books on the finished list that could just as easily have never got there. Maybe I’ll tell which, maybe I won’t. But in any case, I find I’m more willing to let books go these days. I follow a lot of trails in my reading and I’m generally not much of a re-reader. But George MacDonald’s The Princess and the Goblin shows up repeatedly in my annual list making. It came up early this year. I think there’s something intriguing about a book that I look for and read more than once. At least … I’m intrigued. This book is short and manageable. Perhaps that’s why. It’s a kid’s fairytale after all. It’s got a princess, goblins, a wise mother, and a poor miner’s boy. It’s got danger and heroic action. It’s got friendship and family. And it’s got this bit about an invisible thread…. Oh! the thread-following faith of the Princess! A frightful, beautiful story. Please tell it to me again. I’ve finished 62 books so far this year and have read many more pages of books I either didn’t finish or haven’t finished. When I started keeping track of my reading trail, 62 would have been a very high final number for one year. Last year I logged 121 books. I think this might be a bad thing. I am competitive. I’m running behind. That is all.